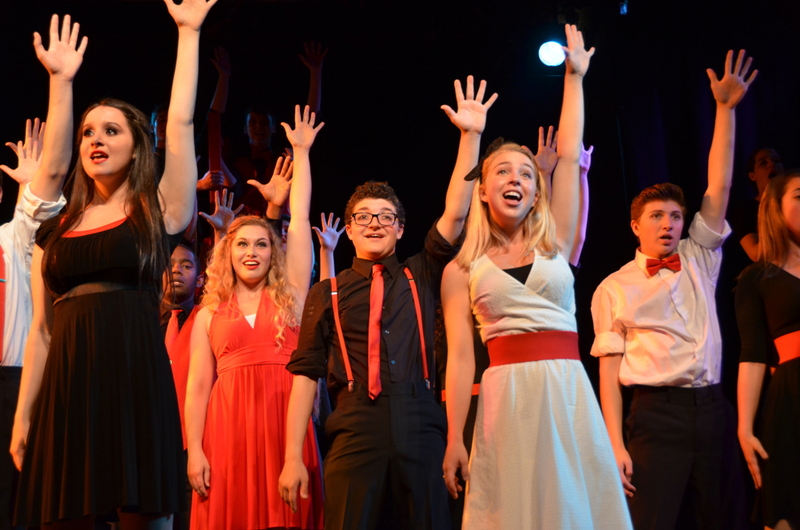 Stagedoor Manor offers a world of Special Events, Celebrity Master Classes, and Performance Opportunities. Throughout the summer, many Stagedoor alumni, now successful in the entertainment industry, return to share their experiences with students wanting to follow the same path. Creative teams from Broadway hits (writers, lyricists, directors, and original cast members) visit to workshop at our rehearsals and inspire us with insight into the creation of their shows. Working with writers and directors in exploring new material, Stagedoor students can experience the discovery and creation of Premiere Productions! Major companies and successful authors often use Stagedoor Manor to workshop and premiere Broadway material before licensing the work to the rest of the world. Remember: Everyone has the chance to perform at Stagedoor Manor! 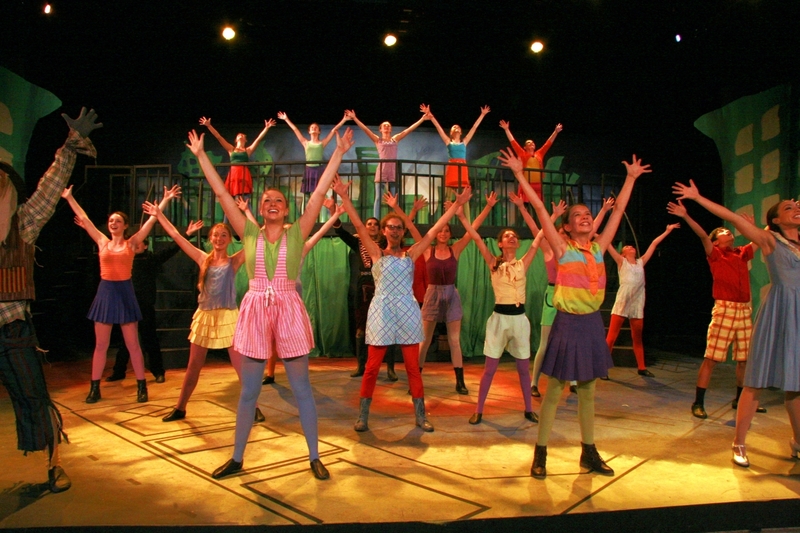 Before arriving for the summer, campers choose to appear in either Musical or Drama productions. Auditions occur during the first few days of camp, and they are kept fun and easy. In partnership with another camper their own age, they read a short scene on stage, then each camper is given the opportunity to sing. A short workshop beforehand prepares each child and gives them a chance to work with the pianist playing their audition. The Laramie Project, Tartuffe, Our Country’s Good, Madwoman of Chaillot, Our Town, Pride and Prejudice, Caucasian Chalk Circle, Letters to Sala, The Vampyre, Romeo and Juliet, Lend Me a Tenor, The Crucible, The Imaginary Invalid, Columbinus, Mousetrap, Sweatshop, Radium Girls, The Crucible, Ring Round the Moon, The Children’s Hour, Macbeth, Steel Magnolias, Shakespeare Abridged, Pilgrims of the Night, The 39 Steps, Crimes of the Heart, Importance of Being Earnest, Inherit the Wind, The Bad Seed, Little Women, Piece of My Heart, Anatomy of Gray, and Leading Ladies. Into the Woods, Les Miserables, The Producers, Side Show, Mystery of Edwin Drood, Pippin, Big Fish, Nice Work If You Can Get It, Spring Awakening, Drowsy Chaperone, Jesus Christ Superstar, Bare, Rent, West Side Story, The Wiz, Carrie, Titanic, Zombie Prom, Once On This Island, Sweet Charity, Addams Family, Evita, Cabaret, Legally Blonde, Footloose, Urinetown, Annie, Sweeney Todd, Bonnie and Clyde, Bat Boy, Sound of Music, How To Succeed In Business, Spamalot, The Wild Party, Fame, Children of Eden, Curtains, Jekyll and Hyde, Wedding Singer, Thoroughly Modern Millie, Avenue Q, 13, High School Musical, Secret Garden, Chicago, Phantom, and Little Shop of Horrors! • The Forum Theater: Our newest 350-seat space! A fully-covered theater that still has the feeling of a summer pavillion. • The Oasis Theater: 350 seats with a unique in-the-round environment, home of our student’s creative writing “Dramafest” productions. • The Cabaret Theater: A revue-style stage with flexible 120 seats, brings the audience up close. • The Carousel and The Merman Theaters: Two intimate black box spaces, seating about 80, for intense dramatic atmosphere. • The Garden: A magical natural amphitheater, with open seating under the stars. 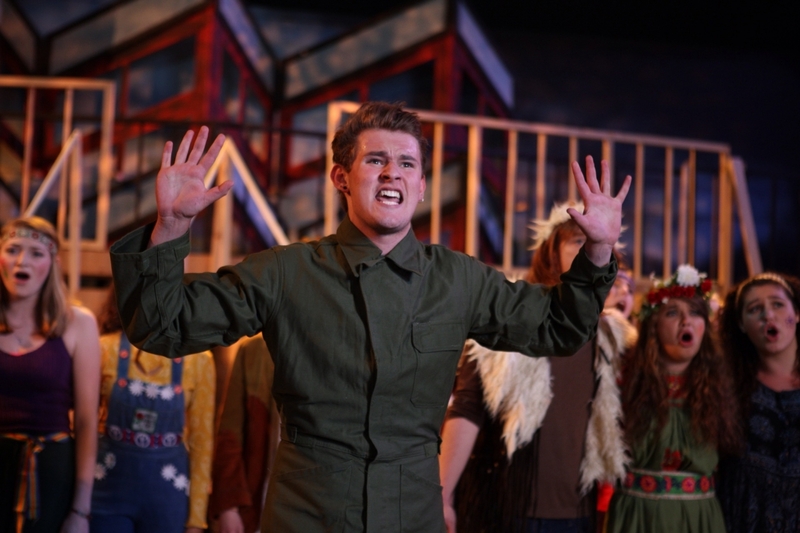 Professional Scenic, Costume, and Lighting designers make Stagedoor productions look great! Two scenic shops and an air-conditioned costume shop with abundant stock accommodates our technical staff. Over 60 specialists design and create the 42 different shows we mount each summer. While Stagedoor performance students do not participate in the technical side of their productions, a limited number of Technical Camper spaces are available. These students work as assistant stage managers alongside our professional Production Stage Managers. We guarantee individual attention and expression by averaging 26 campers or less to each production. Special performance-based master classes, like Our Time Cabaret and Player’s Ensemble, extend the performance opportunities in both music and drama. Dramafest is an additional opportunity for selected campers to write and direct their own shows, and invited industry professionals and celebrities view performances and offer professional feedback on the work. Learn more about it here!